The DUP has roundly rejected British Prime Minister Theresa May's latest efforts at passing her Brexit deal - but the party is to be welcomed to Fine Gael's national conference today. The party's chief whip in Westminster, Jeffrey Donaldson, is to take part in a debate on the future of North-South relations alongside Tánaiste Simon Coveney. Mr Donaldson has previously been hugely critical of Taoiseach Leo Varadkar, accusing him of "playing politics" with the Border and the Good Friday Agreement. His attendance at the event in Wexford is likely to raise eyebrows in London as it comes just a day after his colleague Nigel Dodds's scathing attack on UK Prime Minister Theresa May. He described her attempts at getting changes to the Brexit Withdrawal Agreement as a "disappointment and inexcusable" failure. But Mr Coveney said he wanted to welcome Donaldson to the conference, along with Alliance leader Naomi Long and the SDLP's Claire Hanna. 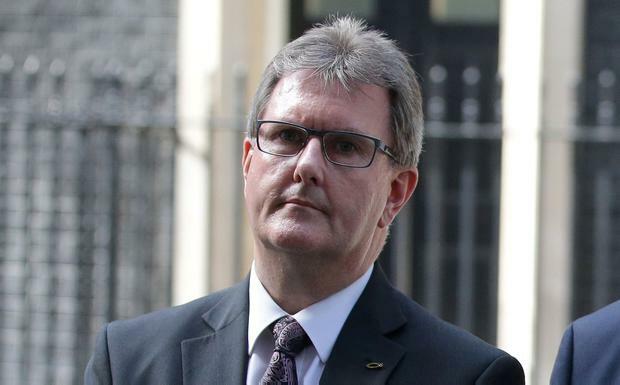 He said it would be an opportunity to discuss the situation with the senior DUP figure, and claimed there were "deep divisions" within the all political parties in Westminster, including the DUP. "I read the statement that Nigel Dodds made, it was very critical of the prime minister - I think we need to be careful not to read too much into emotive language now," Mr Coveney said. "We have tried to respond to their perspective by giving reassurance and clarification and the EU has responded very generously to the concerns they have over the backstop. "That is why we have to go with the withdrawal agreement, a legal document that requires the EU to set timelines and processes. "The statement that she hasn't changed the perspective of the EU is an unfair criticism; the European Council was never going to be about changing the Withdrawal Agreement, it was about focusing on timelines and whether or not Article 50 got extended, and I think expecting anything else was unrealistic." The agenda for the Fine Gael conference is heavily focused on Brexit. Another special guest is the European People Party's candidate to be the next president of the European Commission, Manfred Weber. Mr Weber will also visit a Wexford farm to discuss the impact Brexit will have on the agricultural sector.